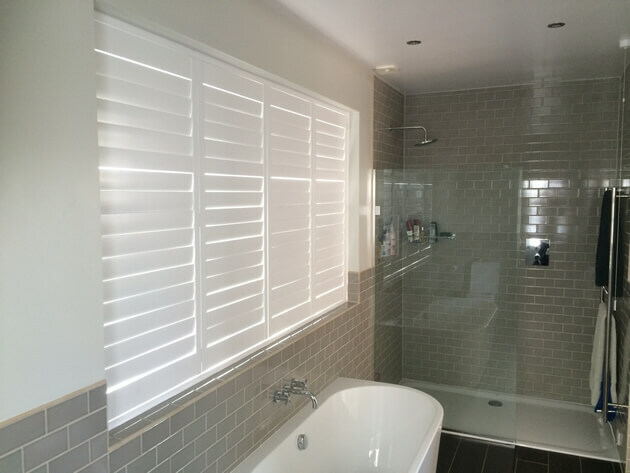 We were asked to fit some shutters to help finish off a newly renovated bathroom in Chipstead, Surrey. 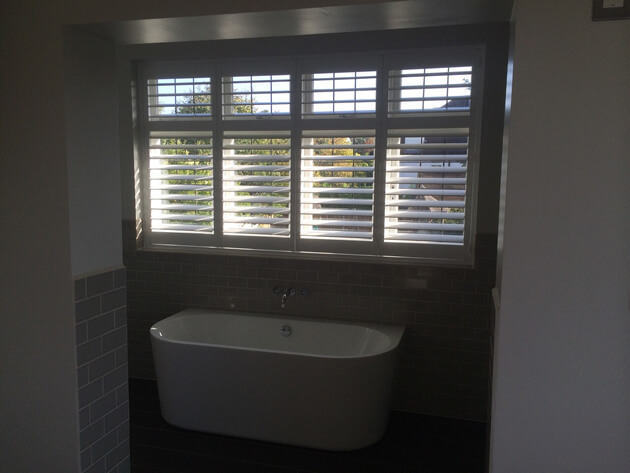 The owner was looking for some bespoke window shutters that would not only compliment the new bathroom, but also act as great privacy when needed. 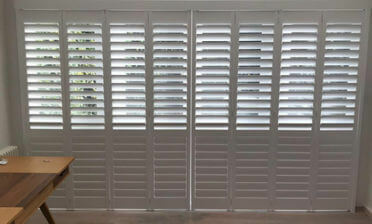 The shutters installed were full height, designed with a mid rail which allows the top and bottom louvres to be adjusted separately. This is a great option for bathrooms where privacy is regularly needed and we can fit the mid rail at any height, depending on your requirements. 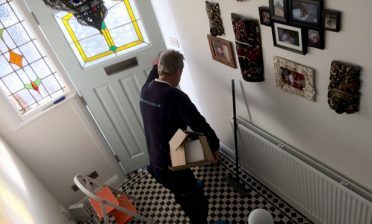 The shutters are made from PVC material specifically designed for areas of the home such as bathrooms and kitchens where the shutters may come into contact with water and moisture. They use 89mm slats with a hidden tilt rod for a true minimalistic look. 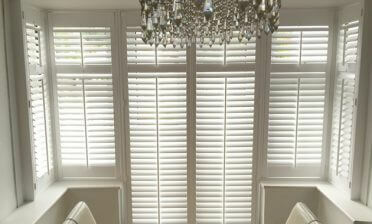 Finished in pure white with hinges to match, these shutters really complement the existing design of the bathroom.